On Wednesday I was very lucky to attend the relaunch of the Schwarzkopf Extra Care range and the debut of the Ultimate Repair collection. 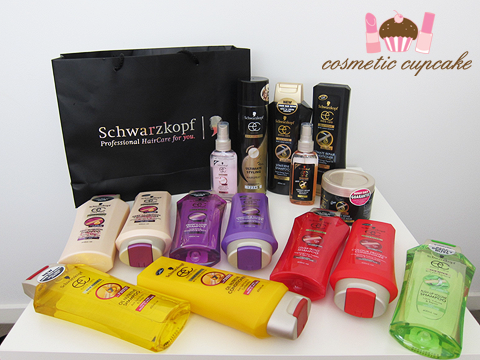 The concept for the event was to shop the "Schwarzkopf supermarket" and boy was it lots of fun! They had plenty of baskets and even mini sized trolleys on hand for us to place our products in while we perused the "supermarket"! Schwarzkopf have introduced the Ultimate Repair range which includes shampoo, conditioner, mask and a repair and gloss treatment. Schwarzkopf are the first to use Liquid Hair Technology with Liquid Keratin and the range contains 3 times the amount of Liquid Keratin in its formula and promises to repair even extreme hair damage. 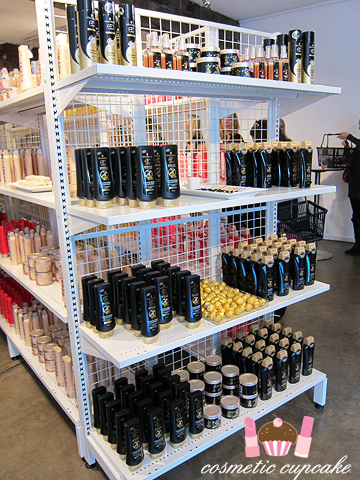 The range will be available in stores at the end of April. 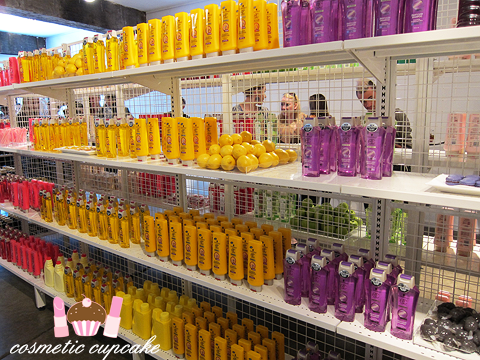 The aisles of the supermarket were lined with hair products from the Extra Care range and tasty canapes, drinks and treats were mixed in for us to snack on while shopping. 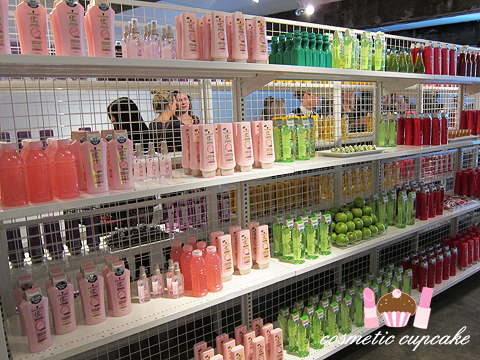 It was pure hair HEAVEN!! I went home with so many wonderful products!! My arms ached from carrying them all home x) I now have no excuse whatsoever for not having fabulous hair! I hope you've all had a wonderful weekend =) Thanks for looking as always and don't forget to enter my Glitter Gal giveaway! 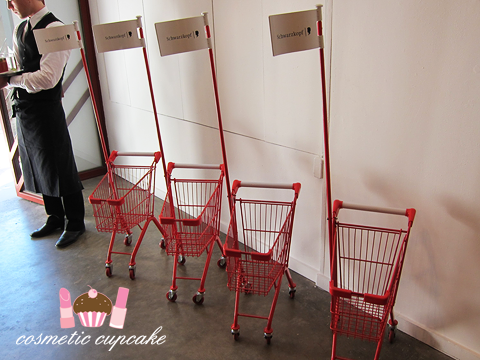 The little shopping carts are soo adorable! The trolleys are sooo completely cute haha!! Reminds me of the trolleys they used to have in Woolies for kids! I would love to go grocery shopping with my parents when I was young just so I could have my own trolley haha :) Looks like you had alotta fun Chelle!! @Alex: They were soooo cute, I wanted to be a kid again so I could use them lol. @Donna: LOL they just look so toy-like and cute! It was definitely lots of fun and I was so lucky to be invited =) It was so much better than going to work that's for sure! I'll definitely let you know how I go, I've had good experiences with their products so far. @Akuma Kanji: Oh that's disappointing to hear! With each brand I guess there are products that work and won't work either. 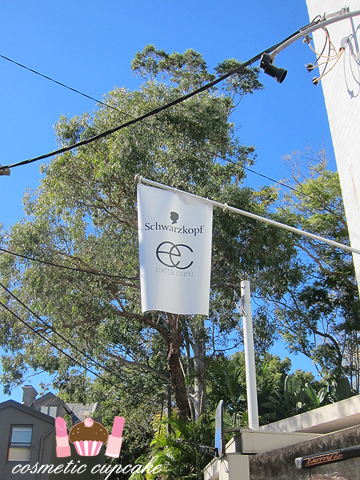 I've had good experiences with Schwarzkopf so far! ahh you are so lucky. glad you got so many goods :)! !